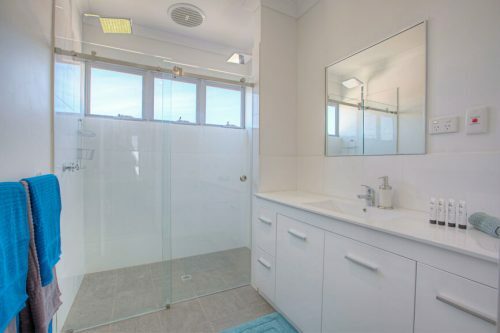 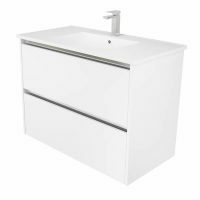 Manufactured from High-Grade PVC Board makes this range of vanities completely waterproof. 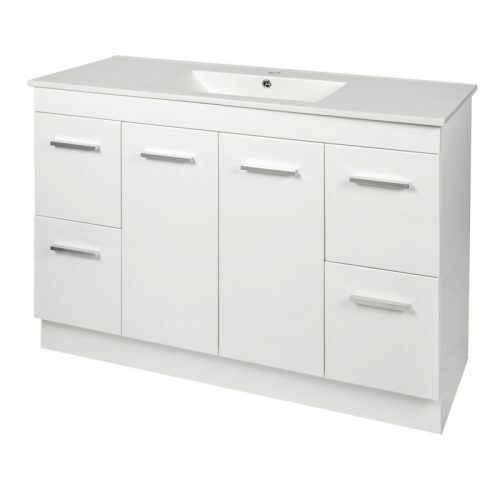 For a completely waterproof bathroom vanity, choose the Brianna PVC Vanity. 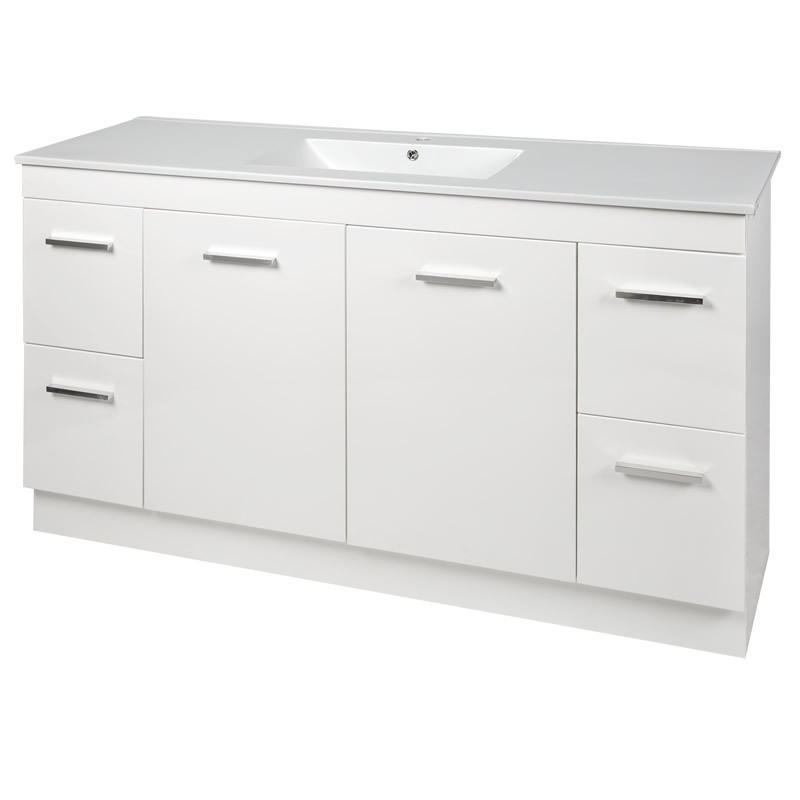 Styled with simplicity, this vanity offers exceptional value for money and comes fully preassembled – simply have it installed or install it yourself. The Brianna PVC Vanity features a china benchtop and an integrated basin. Featuring a classic white finish, the surface is 2 pac painted for added durability. This flexible vanity is available in 6 size options for you to choose from. 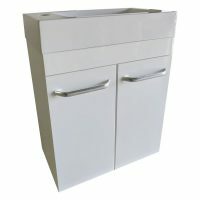 Width sizes include 600mm, 750mm, 900mm, 1200mm and 1500mm which include a single bowl and a 1500mm variant with a double bowl. 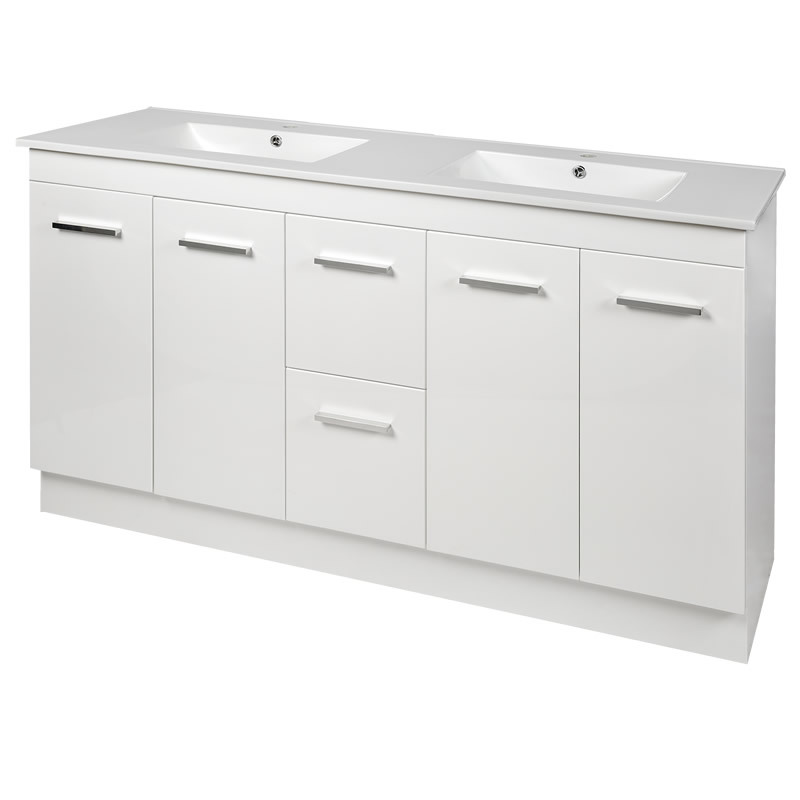 It includes soft closing doors and drawers equipped with sleek metallic handles. The Brianna PVC Vanity is manufactured using quality PVC board and is 100% water resistant. 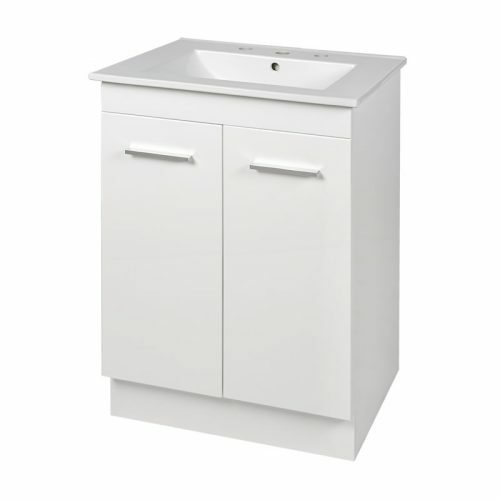 Moreover, this product is built to last substantial usage. 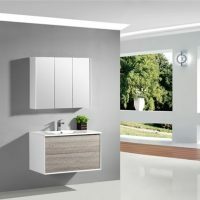 As a sign of quality, Alpine backs this product with a 15-year warranty. 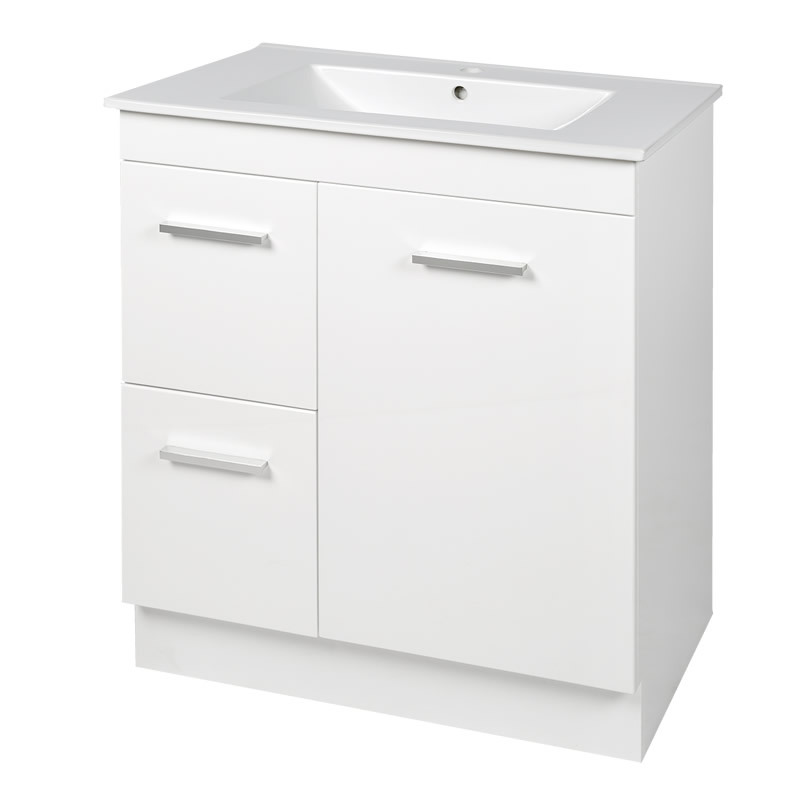 For a quality waterproof bathroom vanity, choose the Brianna PVC Vanity. This great vanity is available online or instore at Ross’s Discount Home Centre for a very low price. 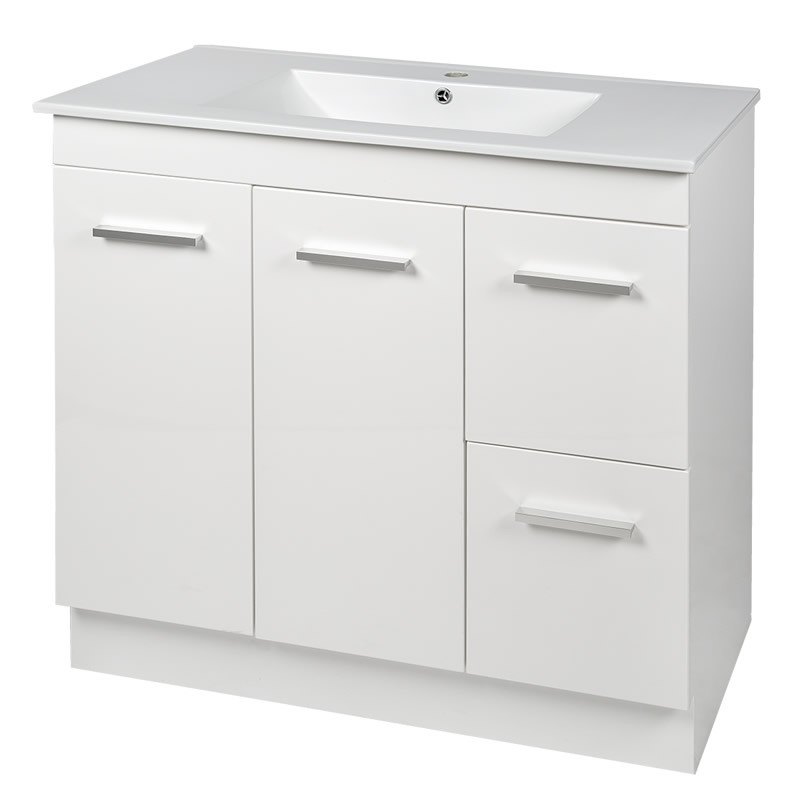 For true value for money, buy the Brianna PVC Vanity at Ross’s before it’s too late!